Task: to design a logo for a city. Tashkent has long become a city that unites peoples and cultures. Located at an intersection of trade routes, it is historically connected with many world capitals and is open to all parts of the world. The city has a lot of sun and gardens, pleasant architecture, tasty food and endlessly hospitable people. During World War II, trains full of evacuated people arrived to Tashkent. The locals took generous care of the refugees, helping them with shelter, food and clothing. And after the devastating Tashkent earthquake people from all over the Soviet Union came to rebuild the city; many of them stayed. The sunny and beautiful city is the star of the East and the true heart of Asia. The logo of the city is a combination of its ancient history and modern development. The Rub el Hizb symbol conveys tradition while the heart-shaped arrows pointed outward reflect friendliness, openness and connection to all parts of the world. The wind rose is the traditional symbol of travel and tourism. 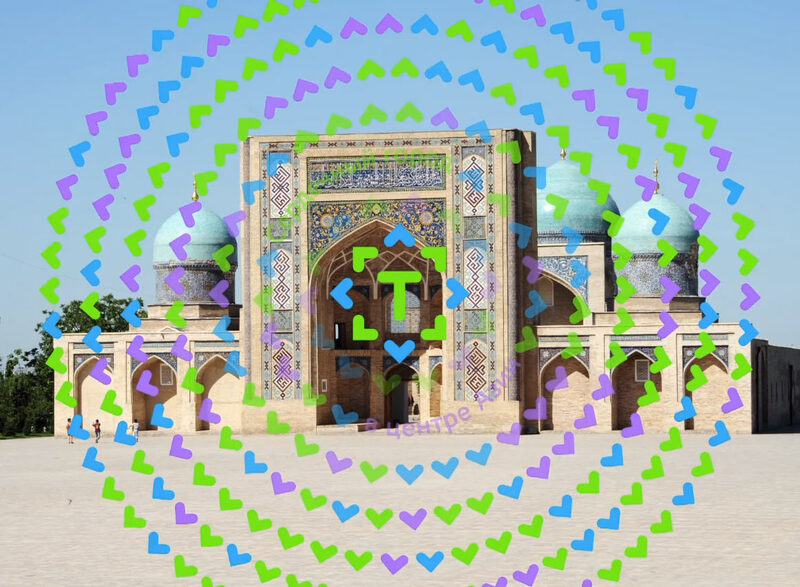 Everything builds around the soul of Tashkent.